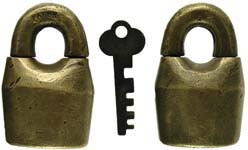 These locks were manufactured by one of the Fraim company names. 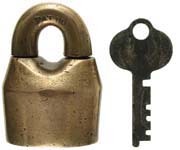 Fraim Scandinavian padlock patents: US Patent #240586. US Patent #RE10272. US Patent #385799. US Patent #413799. US Patent #479414.